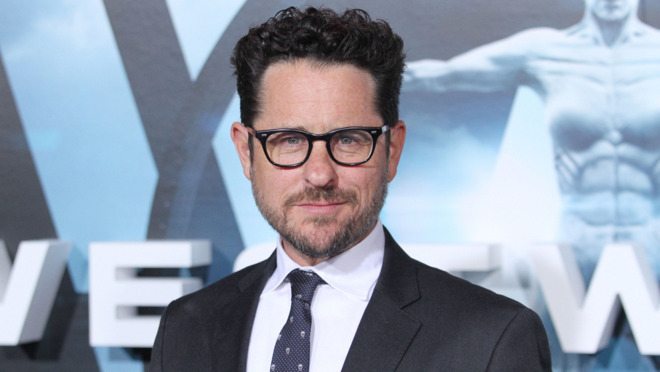 Apple has looped in people like director/producer J.J. Abrams for original content. "While new Video and/or News products might help to increase iPhone stickiness they seem unlikely to make much of an impact on Apple's bottom line," Rod Hall wrote in a new memo to investors, seen by AppleInsider. Even if the video service gains 20 million subscribers by the end of 2020, and charges them $15 per month, that would only boost consensus earnings forecasts by 1 percent, he estimated. If the service costs $10 per month, that would only raise earnings 0.4 percent. A better scenario for Apple would be popularizing an Amazon-style bundle of multiple services, Hall argued. That might mean video, iCloud Drive, Apple Music, and Apple News Magazines, which like the video platform should appear at a March 25 press event. "The key question for us on this is what the anchor value in such a bundle would be from the point of view of a consumer," Hall said. "In the case of Amazon it is free shipping but in Apple's case the core driver is less clear to us." Other analysts have worried that Apple won't be able to compete with video rivals like Netflix or Disney in terms of quantity or quality, and that it may be years behind without any special reason to subscribe beyond particular shows. Reports have also claimed that Apple executives like CEO Tim Cook are exerting a heavy hand with original content, insisting on family-friendly material and positive depictions of technology. That could irritate both studios and viewers used to the relatively free reins of services like Netflix and HBO. Goldman Sachs is more pessimistic than some investment firms, maintaining a "neutral" rating on Apple stock and a $140 price target -- below its current $187 value. AppleInsider will be live from the March 25 press event, which begins at 10 a.m. Pacific time, 1 p.m. Eastern. So, charging 1/3 less would drop the earnings increase by over 50%? Wouldn't a less expensive offering attract more people? I only subscribe to Netflix to watch "particular shows". It started with House of Cards but then I found a few more that I like. What's to say the situation will be any different with Apple? Granted, if they're really launching with 11 shows they may have a long way to go, considering Netflix has a lot of original content that I have no interest in whatsoever and only a few that I like. It's like Netflix is just throwing whatever they can against the wall to see what sticks. So far, according to the rumors, that isn't Apple's current approach. This analyst obviously does not understand Apple. Unlike most companies, Apple does not start with the profit and back into the product that will generate that profit. Instead, they create a great product that improves people's lives and derives its profit from that. Interestingly, I’m finding less and less to watch on Amazon Prime Video (actually watching old shows from the 60s through the 80s now because of the dearth of new shows and movies). Perhaps both Apple and Disney’s new streaming services will do the trick. "While new Video and/or News products might help to increase iPhone stickiness they seem unlikely to make much of an impact on Apple's bottom line,"
There are less than 2500 billion dollar corporations in the US. Apple routinely makes billions on hobby projects, and could likely recycle cardboard boxes into a billion dollar business. Wall Street guys have not, do not, and will not understand Apple. It doesn't take much to be an analyst at Goldman Sachs, apparently. Of course a video service, just starting out, and likely some shows free to begin with (for Apple device owners) isn't going to have much of a pure financial impact on its own. It likely won't in 3 years either, even if successful, given the overall Apple business. I am not sure Apple will be successful with their video service either. But we have to see that play out. Apple has done well with music, and I hear Apple News so far. - Seat at the content table, which could get more subscription services to use the TV App (which could have more stickiness value, and be key to Apple TV value). Im sure people were saying the same thing when they entered the music industry, we all know how that turned out. What hobby projects you are referring to? So far in their current portfolio, none of their mainline products I would consider as hobby projects. So Goldman is doing its part to force the share price down so it can pick them up for a song. Thats the way they play hardball on wall street. Who knows what model Goldman used to arrive at these figures, but I think Apple is going to have a hard time attracting a mass audience unless they do something truly revolutionary. Another "me too" video service with a few original shows simply isn't going to cut it. The die-hard Apple fans will subscribe en-masse, of course, claiming it's the best video service and original programming ever, but convincing the other 99% of Apple customers to jump on board will be more challenging. A few good original shows will not be reason enough for most people to subscribe. I'm a big Star Trek fan (as I imagine many of us here are), but I'm not paying $10/month for CBS to watch that one show. Admittedly, I find Discovery to be rather weak, but even if it was amazing, I still don't think I'd pay $10/month for it. Instead, I'm going to wait for the season to end, subscribe for a month, watch the whole season, and cancel. Netflix, on the other hand, I gladly pay for each month because there's enough content that interests me. Netflix's approach is actually the better approach, though. What sticks for one group of people doesn't stick for another. What one person finds terrible, another loves. You have to offer a wide variety of content to attract a wide viewership. Netflix understands this and has the subscriber numbers to prove it. No one else comes close. Apple's video service with succeed or fail based on the service itself, not the original programming. The original programming will no doubt sweeten the deal, but the service itself has to improve upon the television experience enough to make customers switch or add yet another monthly charge to the credit card. I think this is going to be a challenge for Apple. The more I have sat on Apple’s strategy the more I am feeling like I’m understanding it. Your point about subscribing for a month to binge watch Discovery is exactly why Apple pushed their subscription model to the content providers. Had that gone through like Apple had hoped, I would only have one subscription to manage not 2 or more. Apple recognizes that there is only so much time in a day that people can be consuming video. Yes there are the heavy users but for people like me, I may only watch 1-2 hours on a typical day, there isn’t enough time in the day to make 80-100 dollars a month for full cable or for 6 streaming services worth while. It IS a waste of money for many people. However, the content providers did not want to relinquish control over how and when their content can be viewed and so here we are. Apple, I believe, is not trying to become Netflix. That is something that may happen organically after many years (kinda like how some artists refused to put their music on iTunes initially, now most have finally accepted that Apple’s model does provide benefit in this new world). I can see the same thing happening with Apple’s subscription; not much older content when it launches... but give it enough time and things could start changing. What I think Apple is trying to do is become a high end YouTube. With the ability for good quality content to be produced entirely on consumer level products, individuals wanting to reach a larger audience, could put their stuff on Apple TV. And just like that the individual becomes their own content manager and does not have to worry about distribution. This is something I think the content providers are not used to, they create and distribute content and therefore collect all the money. They are not used to paying for distribution. In short, this is something that Apple is in for the long haul. People are just becoming open to what consumption of content could be outside of what television has been for all these years. They’ve got time to steer people’s understanding to be in line with what they see the solution to be. **I really have no clue what I’m saying here... just thinking aloud. Ugh. These analysts. I bet they'll declare any TV subscription service as a failure if they don't overtake Netflix by the end of year one. While having only one subscription to manage is a nice convenience, would it have been cheaper? Probably not. The reality is, those of us (and I include myself here) who advocated for a la carte pricing completely got it wrong. As much as I hated paying for shows and channels I didn't watch, the bundled cable model is still the simplest, most convenient, and cheapest if you want access to a wide variety of content. A la carte pricing works great if you only want to subscribe to one or two services. Otherwise you're better off with cable. I'm not sure it's really about content providers not wanting to relinquish control either. Not every show is going to make money. The bundled cable model, in essence, has the more successful shows (and channels) subsidizing the less successful ones. I don't think anyone has figured out how to make this work. That's why we're seeing services like DirecTV Now and PlayStation Vue and Hulu with live TV. They've essentially moved the cable bundle to the Internet. They still nickel and dime for services like DVR. There are still commercials. You're still stuck with channels you don't want to watch but have to pay for anyway. Netflix is the only one who is truly thinking differently about content. Content is why they exist. They aren't a hardware company or online shopping behemoth looking for an additional revenue stream. Netflix is the first global television provider and they've managed to build this massive worldwide service completely free of advertising. I'm looking forward to Apple's announcement, but I don't have high hopes. I'd love for them to deliver a radical new approach to content delivery, but my gut tells me they'll be delivering something far more mundane. I also don't believe they are trying to become Netflix. They are trying to grow their Services category. The two product category bright spots for Apple are Services and Other. The rest, iPhone, Mac, iPad, are mature markets. They will fluctuate a bit, but none of them will experience significant growth at this point. The Other category is growing thanks to the Watch. Most of Apple's Services revenue is AppleCare, which is tied to hardware sales. Padding the Services category with video and paid news offerings makes sense, especially if hardware sales aren't as strong. These services don't have to be wildly successful to add a bit to the bottom line and further lock users into the ecosystem. I can't say that I follow re: a "high end YouTube", but I think you're right that this is all a long game. The advantage Apple has over everyone else is that hardware is their bread and butter. If Netflix doesn't get it right, they are out of business. If Apple doesn't get it right, it would be embarrassing given the public's perception of them as an unstoppable "disruptor", but they'd be just fine and on to the next thing. Funny how Goldman guy still swallows line that Amazon Prime is anchored on free shipping when just about everyone including Walmart ships free. (And Prime free shipping still has many exceptions). What Apple can contribute is substantial, not just me too. Hope to see some evidence next week. i’m excited about this service, but even the news app has to make its way to this part of the world (philippines). Granted, these are not Apple Socks and iPad covers, but just (casually almost) billion dollar companies all by themselves. All these analysts arn’t really worth a dime most of the time. With Apple they have always been a company that’s primary goal is to move to where the market will be in a few years time. And their moves around the Apple TV device over the last few years, changing their language around it from being a hobby to being a great device is important. It shows the change in focus. Now if you look at the content creation industry it is fragmenting right now and the content holders are being very short sighted in trying to maximize their near term profits. What they haven’t caught onto yet but I suspect Apple worked out 2 years ago is that when they are all in their respective corners, charging their subscriptions for streaming, the consumer has no way of colating and tracking all of the shows they watch from the different channels in one place. Apple could provide a neutral ground for all of that to take place with the Apple TV OS and the TV Now feature to track the shows. So the Apple original content might provide some incentive and stickiness to the platform I suspect it is not meant to be a stand alone profitable venture, right out of the gate. Like all of Apple’s services, they are intended to grease the wheels of the company so it can sell more hardware. In this case Apple TV boxes. Time will tell if this is what pans out. Someone needs to tell Tim Cook that Disney pretty much has the "family friendly" market wrapped up. He might ask Disney's Bob Iger who is on Apple's board.